The mythical catamaran Booby Bloo explores remote worlds on the blue planet. On board a family crew who is living the ocean life, a life with beyond time and space. And one cabin is always ready for guests who want to live a unique ocean experience, probably one of last remaining adventures to live out of the traditional and busy box. Realizing our dreams and exploring with our kids a fantastic world and showing them different cultures and different point of views of the Blue Planet, that is our new aldventure. Till when? No idea, we have to find ways to live our dreamtime. With our kids we talk in swiss-german and in french and sometimes even spanish. 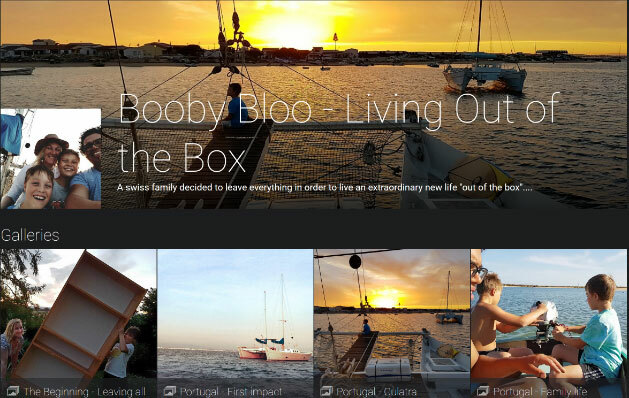 So we try to share with you our life “out of the box” in english, german and/or french.